Yesterday I hosted a meeting for a group of proto-freelancers that I have joined. As is customary, I was going to serve biscuits and tea. 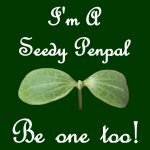 Since I prefer to make things from scratch (a tendency that has only got worse since it also gives me something to blog about!) I decided that I was going to make the biscuits. I have not actually attempted to make biscuits for a number of years, since they aren’t really something that I have around the house. In fact, the only time that I really ever think to buy them is if I am going to make a cheesecake, or another dessert with the requisite buttery biscuit base. The last time I was really into making biscuits was as a fairly young kid (maybe 8ish?). Once the Sunday Dinner had been cleared away, and the washing up done, I would bake things, some sponges cakes and the like, but mostly biscuits, while my parents were either out on the garden, or dozing in front of the Eastenders Omnibus. These baking sessions were always using recipes from the tried and trusted Dairy Book of Home Cookery. I had been given some Lotus speculoos paste by a good friend who was returning to Australia, and had one too many items from Europe in her case. I have always known that I will make biscuits with it, since these are traditionally served with coffee and tea in every cafe in Holland. And what better opportunity to have a go than for a meeting? So it was to these things that I turned when looking for inspiration. The Dairy Book has a basic recipe for refrigerator biscuits, which seemed easy enough to adapt, so I used this as a starting point for my treats. They are called refrigerator biscuits because you wrap them up like a sausage, then let them rest in the fridge for at least an hour. I actually made these a while ago, when we were originally going to have the meeting, but we had to postpone due to a particularly nasty flu that several of our people had. You can keep the dough in the fridge for a week. The mixture also freezes well, and the amounts given here will make a lot of biscuits (up to 60 depending on how wide you roll the sausage), so I divided it in two and still have a sausage of dough in my freezer. You can defrost them on the counter, or (if you can cut them) cook them from frozen, allowing a minute or two longer cooking time, but you will need to watch them. Rub together the flour, baking powder, butter and speculoos paste, like you would for making pastry. Once you have the breadcrumb texture, mix in the sugar. Add the egg, and bring together to form a dough. I did all of this with my hands, but you can do it with a spoon if you prefer. 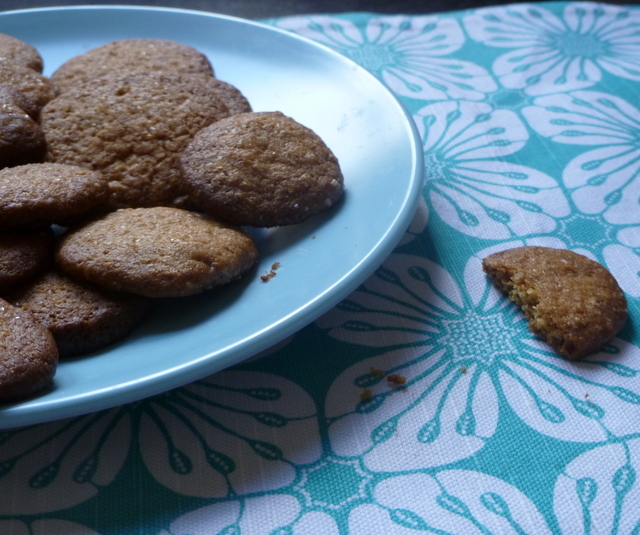 At this point, I tasted the dough, and decided that the speculoos didn’t give quite the spicy punch I wanted, so I decided to add some speculaas spice that I still had from making Kruidnoten. 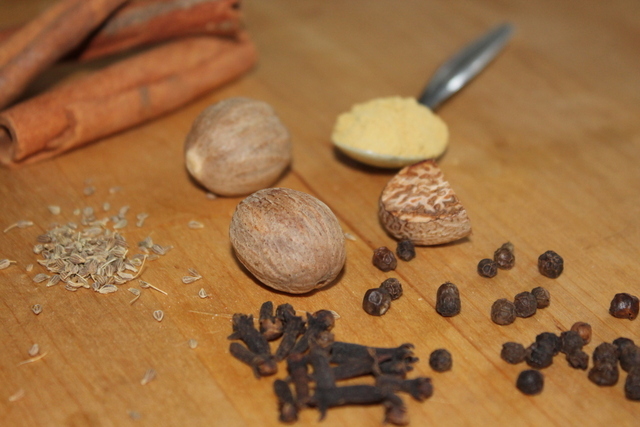 I also gave the recipe for the spice mix on that post, if you want to have a go at making these, and you are not in the Low Countries, where it is readily available. At this juncture I should point out that raw cookie dough has been linked to outbreaks of e. coli infections, and should not be eaten if you are in a vulnerable group, or if you are worried about this sort of thing. In this case, I took the risk for you, so if you choose to make these biscuits, you can also skip the testing, and simply add the spice when you mix in the flour, as I suggest above. 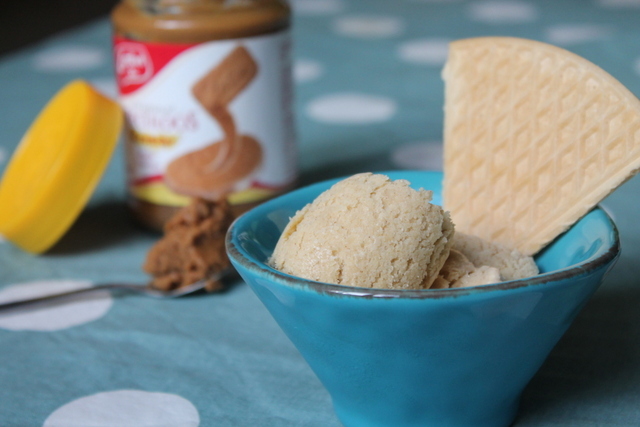 If you can’t find any speculoos paste, then you can also just use the spices. Once the dough has formed, it should be pretty dry, and workable. I found I needed to use a tiny bit of water, to help the dough form, because the only egg I had was on the small side, but I added it splash by splash, because I wanted to get the texture right. Roll the dough into a sausage. You may need to cut it into two here. I did. Once the sausage is the sort of width you imagine your biscuits to be, wrap it tightly in foil or cling film, making sure the ends are sealed well. It is worth noting that these biscuits will spread a little, during cooking, so you will need to roll the sausage a bit thinner than you want. Once wrapped, bung the dough in the fridge for at least 3 hours, or overnight if you can. Or you can freeze it immediately. When you are ready to bake, heat your oven to 190°C. Meanwhile, grease your baking sheets with some old butter paper, which should have enough butter on it to cover your trays with a thin layer of butter. If not, rub it over a pat of butter before rubbing the tray. Butter paper is also something that I never throw out, until I have got maximum use from it. You can substitute it for tin foil to wrap food (but not for cooking with), you can using for greasing baking utensils, and you can use it as a cartouche to retain moisture or prevent a skin from forming on a liquid. My mum has always done this, and I have also always done this, it was just a habit really. I have two baking sheets, so I used both in the oven at the same time, to reduce energy consumption. If you do this, be aware that the top biscuits will be ready slightly earlier than those lower down in the oven. They catch really quickly, so take these out first. 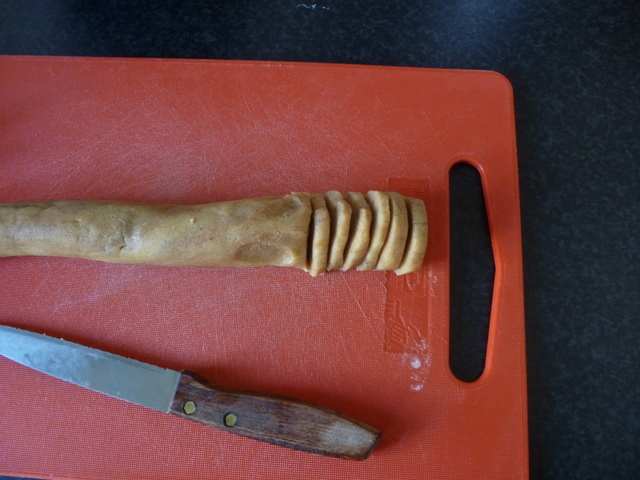 Then, thinly slice your biscuit dough along the length of your dough sausage. Probably thinner than I have here, if you like. One tip is that the sharper the knife you use, the less you will compress your roll, and thus will not have to constantly reshape or have odd-shaped biscuits. 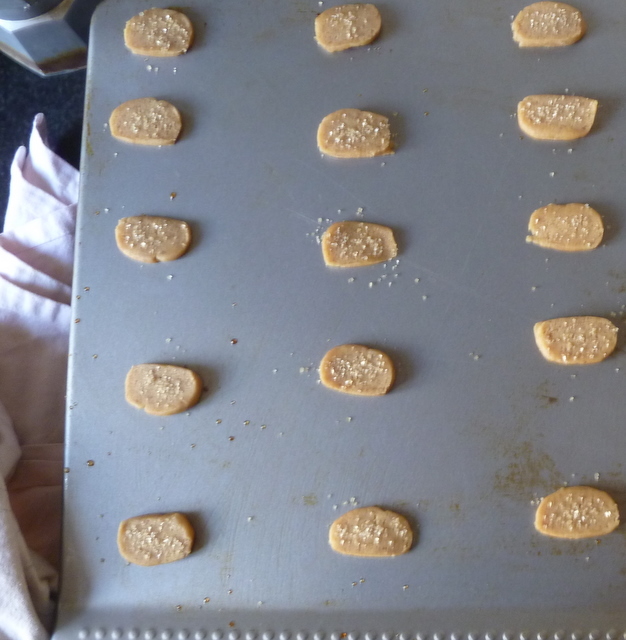 Arrange the biscuits onto the trays, allowing space for them to spread out a little as they cook. 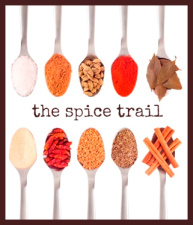 I sprinkled mine with a little vanilla sugar, because I always have it to hand as a by-product from custard making. Caster sugar will be just as good. You can also dust it lightly or a little heavier if you would like more of a crisp. Stick them in the oven, and check them after 10 minutes. Mine were done then, but you can leave them in for up to 12 minutes. Allow them to cool a little on the tray before removing, and serving. If you do have any left, put them in an airtight container, where they will keep for a day or two. The actual time you spend on these biscuits is minimal. I probably spent about 10 minutes in total on preparation. But, I can guarantee that your guests will appreciate the effort that they will think that you have gone to. Unless you have hundreds of guests, you will also have enough for a couple of batches, and what could be handier to have on standby in your fridge or freezer, for meetings, drop in guests, or a visit from the WI?